This morning we said goodbye to my grandfather Joseph Scott Harrell, also known as Scott, or for those lucky enough, he was Pop Pop. Pop Pop was larger than life. He had a big personality and always had a way of letting his presence be known. He was stubborn as can be, but loved to have a good time and knew how to put on his charm. As anyone who knew Pop Pop would agree, he was nothing short of a legend. 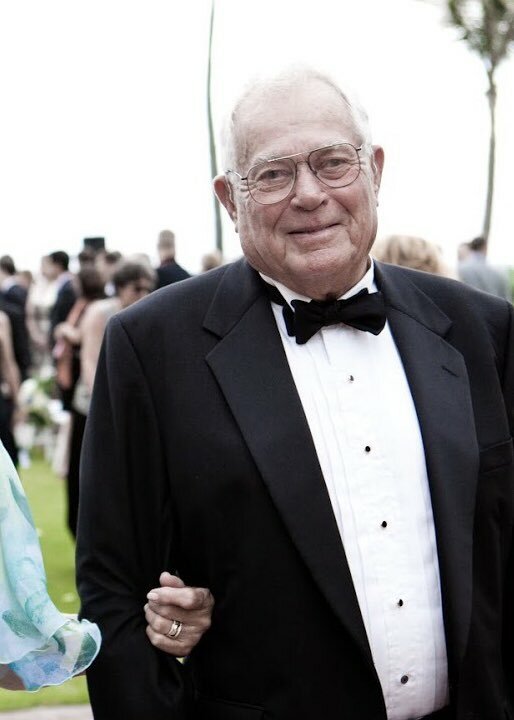 Pop came from humble beginnings, but worked very hard and built several businesses including one of the world’s leading sportfishing boat companies. His entrepreneurial spirit has been a major influence on me throughout my entire life. Without him, I probably would not have had the courage to venture out on my own. But Pop was never consumed by his work and remained an extremely devoted family man. At 90 years old, his legacy will live on through his 3 children, 7 grandchildren and 16 great-grandchildren (and another one on the way). I’m forever grateful for the time I shared with my grandfather, but I’m especially thankful for getting to visit with him less than 10 days ago. He played with Bennett, was excited for Michelle’s pregnancy, and most importantly – I was able to let him know what he meant to me. It was one of the hardest experiences of my life. It’s not easy to look into the eyes of someone who’s been such an influential part of your life, knowing this will be your last moment together, and tell them that you love them. As tough as it was, I was at peace having been able to say goodbye. It’s a reminder that we must hold our loved ones tight and let them know how much they are appreciated. We can be gone in an instant. I love you, Pop Pop. Thanks for the memories and for being you. Can’t wait til the next time we can enjoy a gin & tonic together!